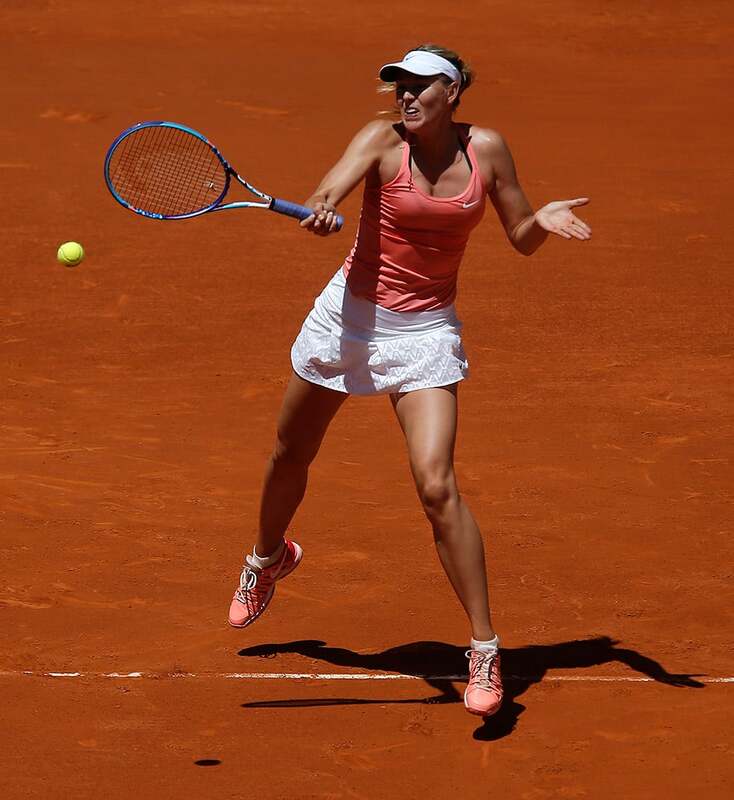 Maria Sharapova from Russia returns the ball during her Madrid Open tennis tournament match against Mariana Duque Marino from Colombia in Madrid, Spain. 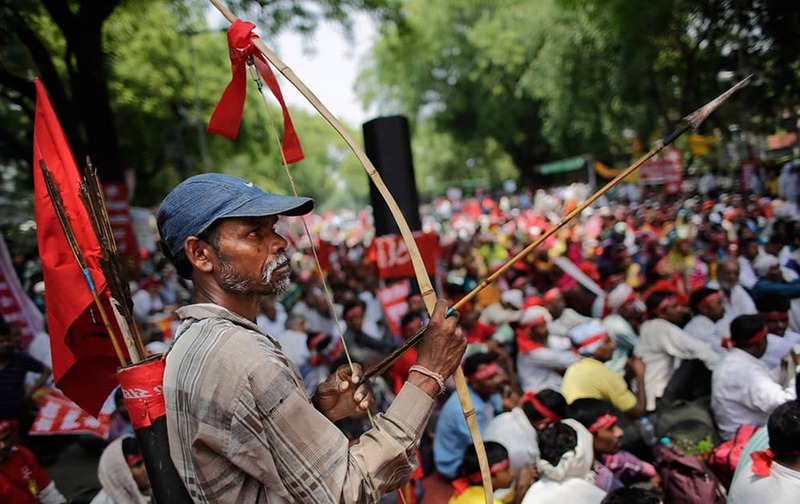 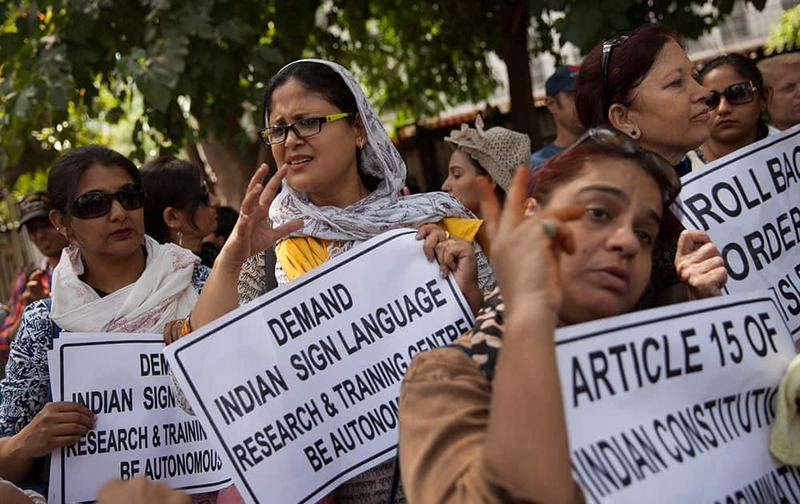 A farmer holds a bow and an arrow as he attends a gathering near the Indian parliament for a protest against the Land Acquisition Bill, in New Delhi. 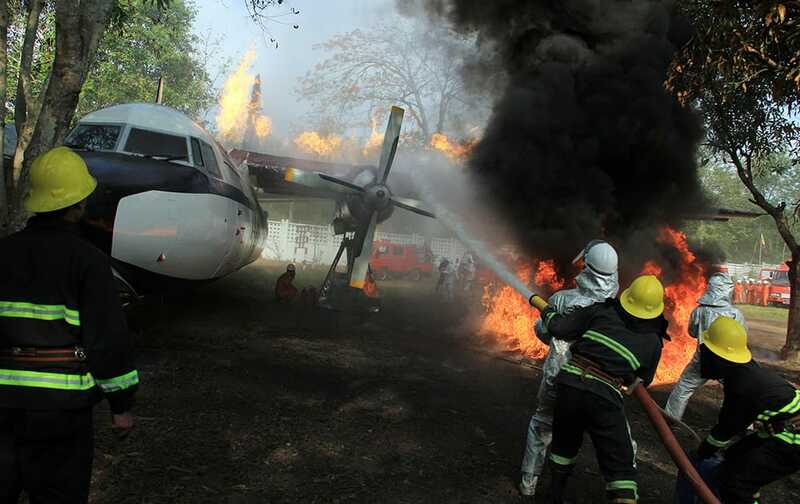 Members of Myanmar Fire Brigade put out the fire of a burning airplane during their demonstration at a ceremony to mark the 69th anniversary Myanmar Fire Brigade Day in Yangon, Myanmar. 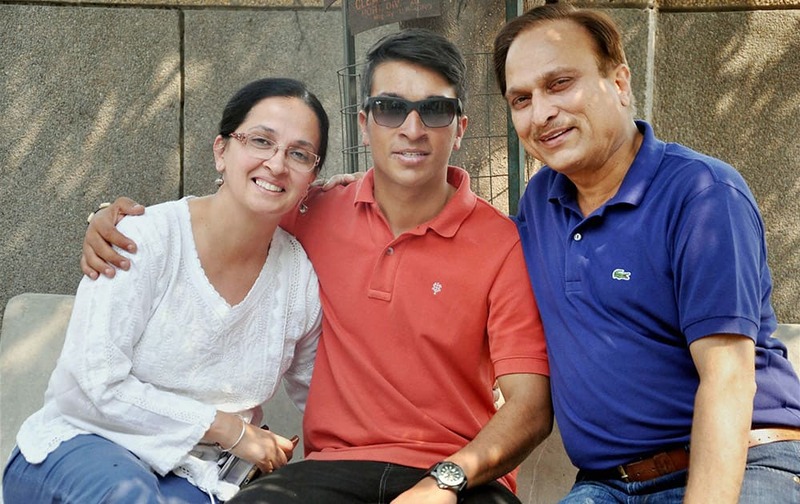 Mountaineer Arjun Vajpayee with his parents at his home in Noida on Tuesday after being rescued from earthquake hit Nepal. 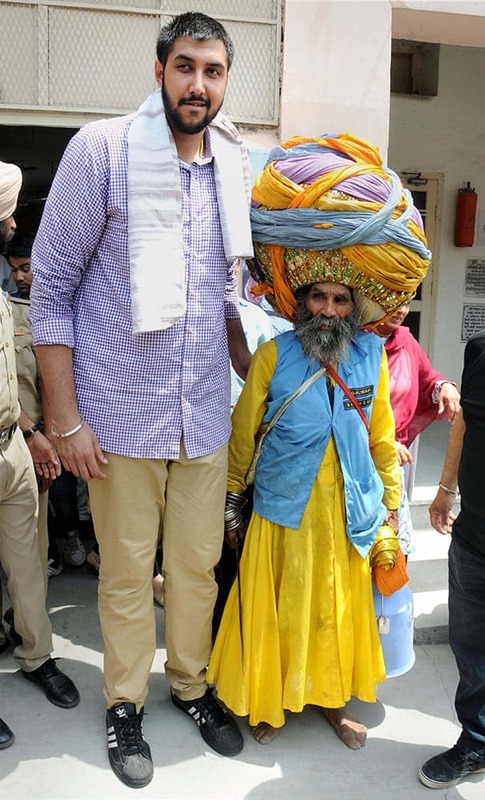 NBA player of Indian descent Sim Bhullar with a Nihang at Golden Temple in Amritsar. 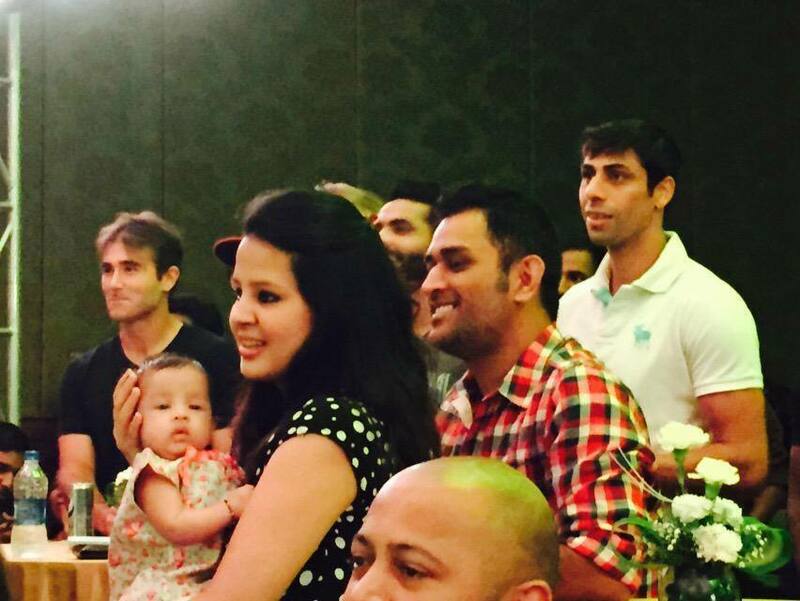 Former Pakistani cricketer Wasim Akram with his Australian wife Shaniera Thompsom in a school programe in Kolkata. 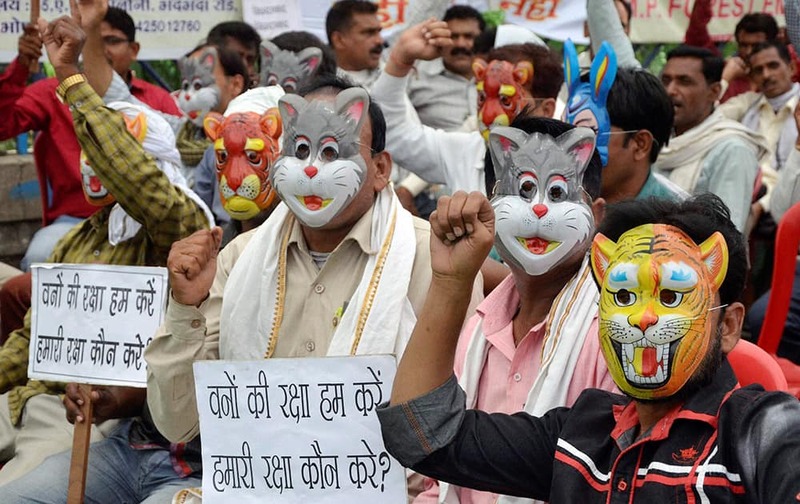 Daily Wage Forest Employees statging day long dharna with wild animal masks, demanding regularisation of their jobs in Bhopal. 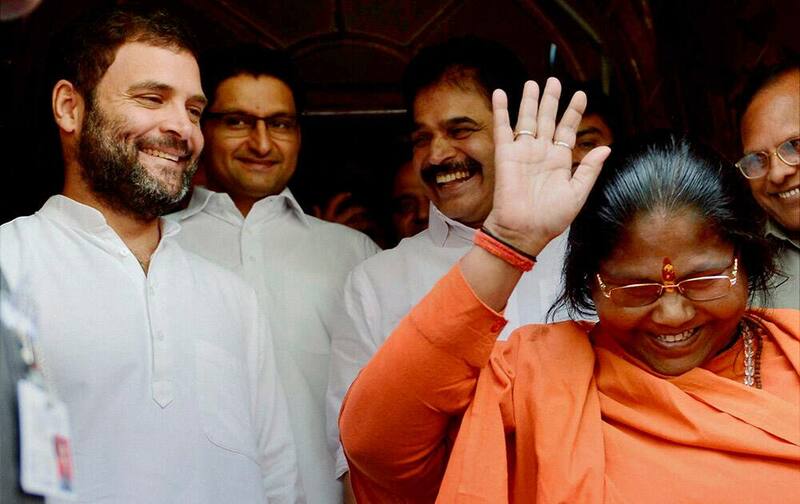 Congress Vice President Rahul Gandhi and MoS Sadhvi Niranjan Jyoti at Parliament house in New Delhi. 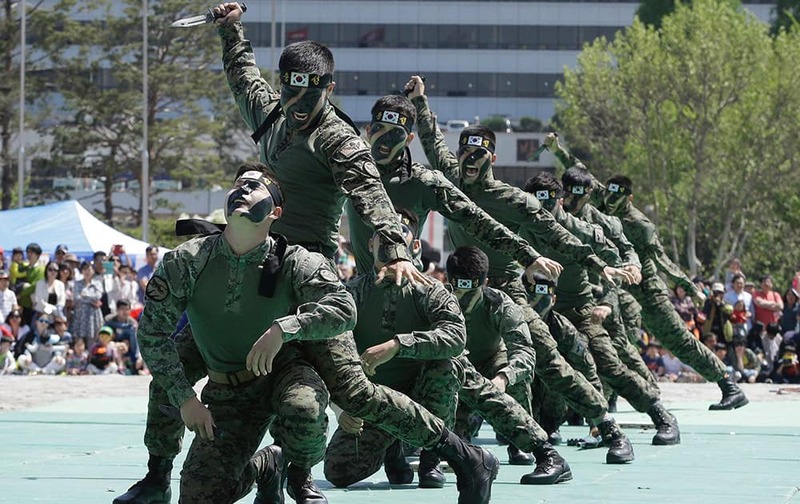 Soldiers from the South Korean army special forces demonstrate their skills how to fight back knife-wielding attackers during a martial arts demonstration for Children's Day at the War Museum in Seoul. May 5 is celebrated as Children's Day, a national holiday, in South Korea. 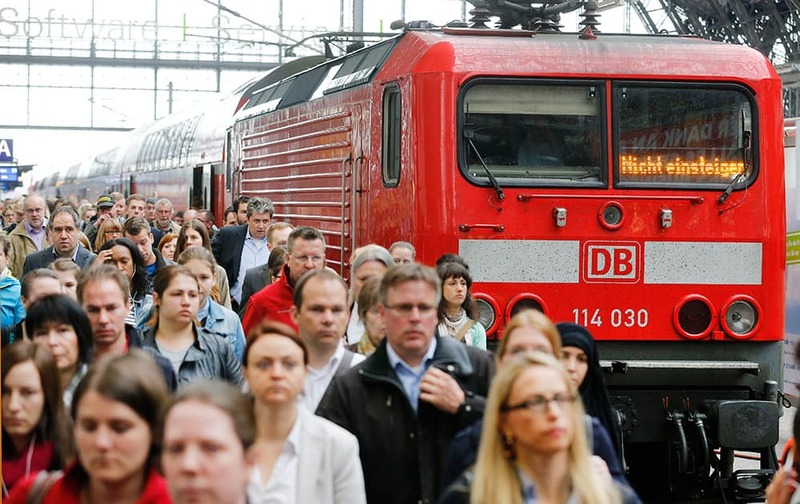 Commuters leave a train during a six-days strike of German train drivers in Frankfurt, Germany. 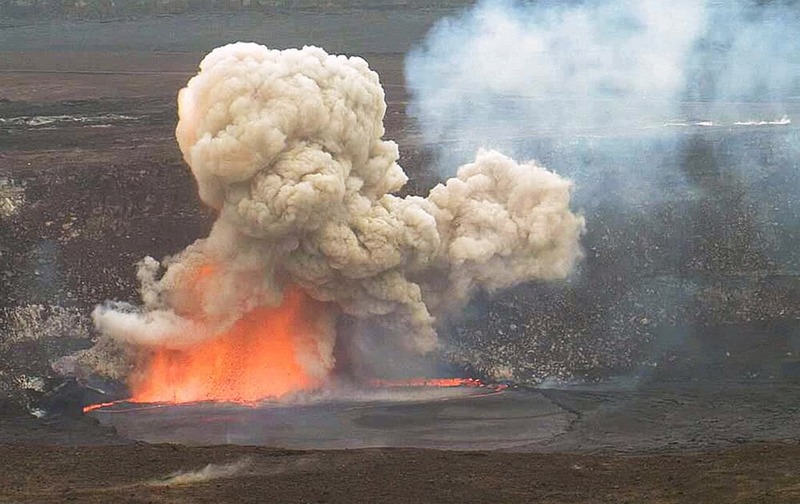 This photo provided by US Geological Survey Hawaiian Volcano Observatory, smoke and lava explode from Kilauea volcano on Hawaii’s Big Island. 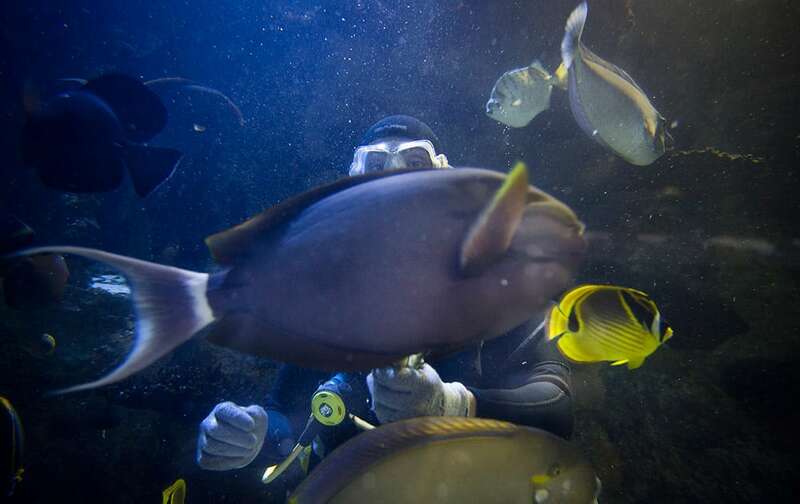 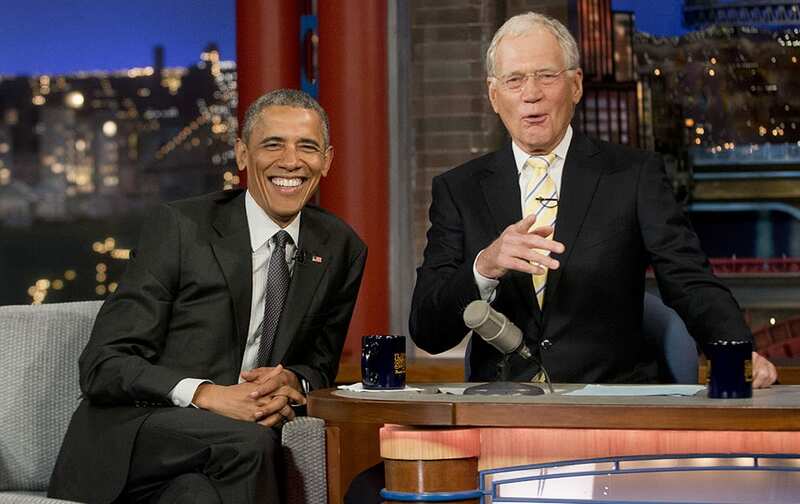 Two people surf at the Wedge in Newport Beach, Calif.
A volunteer diver hand-feeds fish at the Newport Aquarium, in Newport, Ky.
President Barack Obama with host David Letterman talk during a break at a taping of CBS' The Late Show with David Letterman at the Ed Sullivan Theater in New York. 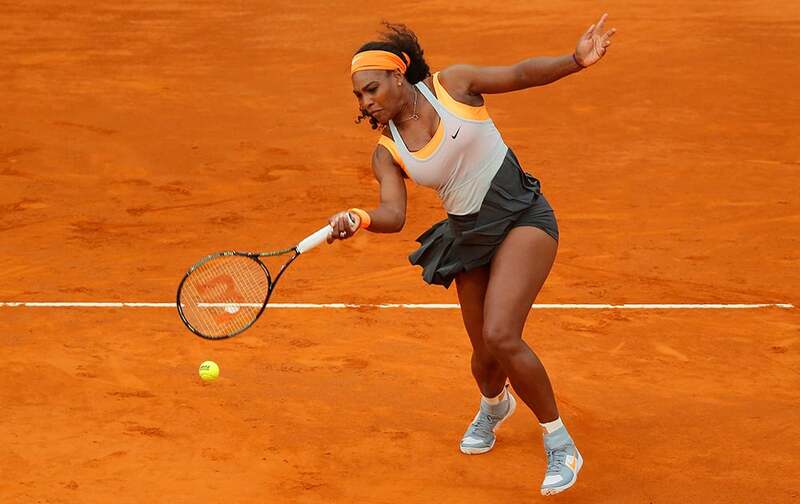 Serena Williams from US returns the ball during her Madrid Open tennis tournament match against Sloane Stephens from US in Madrid, Spain. 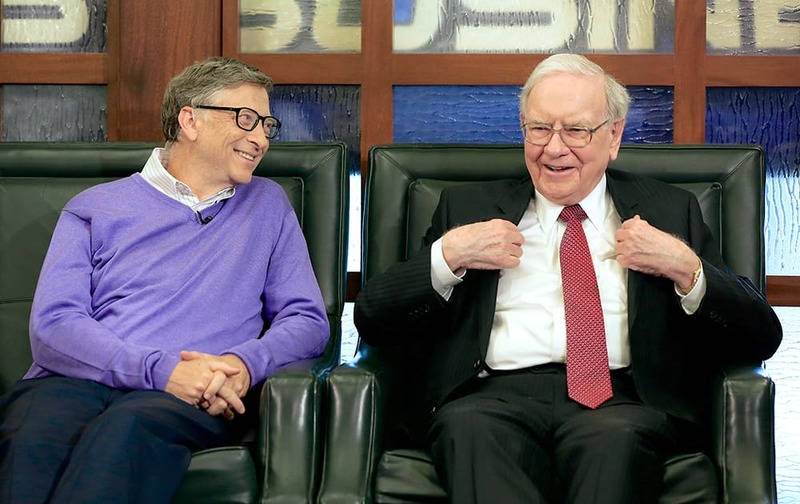 Berkshire Hathaway Chairman and CEO Warren Buffett, right, and Microsoft co-founder and Berkshire board member Bill Gates participate in an interview with Liz Claman on the Fox Business Network in Omaha.